This study examined the rates and types of trauma reported by consumers utilising an inner city mental health service in Sydney, Australia. The study also explored whether consumers felt that it had been helpful to be asked about their experience of trauma, whether they thought that these questions should be asked routinely and if they wanted to talk about these experiences. Ninety-one consumers from an inner city mental health service were assessed. Eighty-eight percent of the consumers assessed reported that they had experienced at least one traumatic event, while 79% reported having experienced two or more events. A majority of consumers identified that they thought it was helpful to be asked about trauma and that it should be part of an assessment. However, less than one-third of these consumers surveyed wanted to talk about the trauma at the time of assessment. 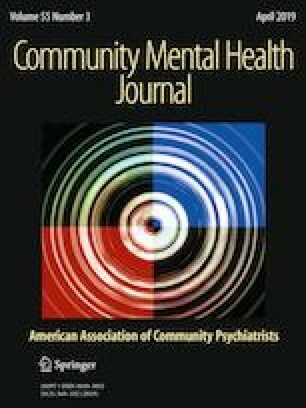 Concerns that clinicians may have in regards to addressing trauma in mental health assessment are not matched by consumers’ expressed beliefs on the issue. Harris, M. (2004). Trauma informed services. The evolution of a concept. Washington, DC: Community Connections. Retrieved from http://womenandchildren.treatment.org/media/presentations/c-1/Harris.ppt. Mental Health Coordinating Council. (2013). Trauma-informed care and practice: Towards a cultural shift in policy reform across mental health and human services in Australia. Retrieved from http://www.mhcc.org.au/media/32045/ticp_awg_position_paper__v_44_final___07_11_13.pdf. Petersen, C., & Janssen, C. (2007) Report on the findings of the Kings Cross youth at risk joint outreach sweeps. http://www.seslhd.health.nsw.gov.au/Youth_Health/Documents/Sweepsreport16408.pdf.